Essential oils are the extracted oils from plants. They are often used in perfumes, cosmetics, and sometimes for flavoring. They have also been used medicinally throughout history. Because they have strong scents, many people are attracted to them. They can easily be added to baths, body treatments, shampoos, and lotions. When used properly, essential oils can help benefit the skin. For example, one of the most popular essential oils out there is lavender, which happens to be a great anti-inflammatory. It treats burns and irritated skin. 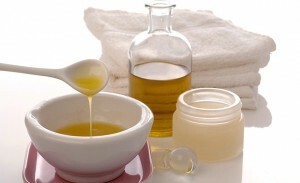 Because essential oils are so concentrated, you should dilute them in another oil before putting them onto the skin. Lemon essential oil can be very beneficial to the skin, but if used undiluted and then exposed to the sun, it can cause hyper pigmentation (darkening of the skin) For reasons such as this, it’s important to read up before using essential oils. Essential oils are derived from plants, so the molecules they are made from are extremely small and for this reason they are able to penetrate the skin very quickly and get into the circulatory and limbic systems. The limbic system interacts to control heart rate, blood pressure, memory, breathing, stress levels and hormone balance. This is why essential oils have such an effect on mood. Although research is still being done to prove how great essential oils are, many are thought to hold antibacterial, anti-inflammatory and antiseptic qualities. Many companies sell essential oils, but my favorite is Young Living.